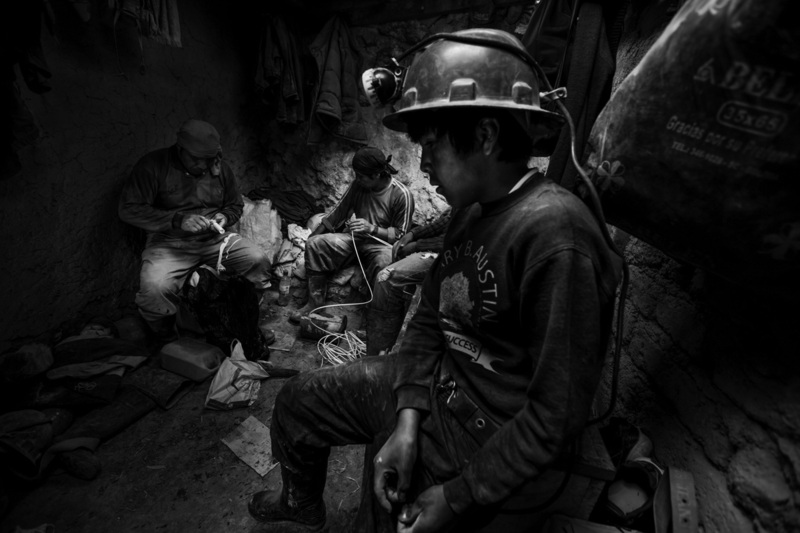 PHOTOS: Life In Bolivia's Mines Is Harsh For Adults — And Children Who Work With Them : Goats and Soda When photographer Simone Francescangeli took pictures of the miners, he was struck by the dangerous environment — and the number of children he saw working in the mines. A miner lights a dynamite fuse in the Cerro Rico mine in Potosí — Spanish for "Rich Mountain." 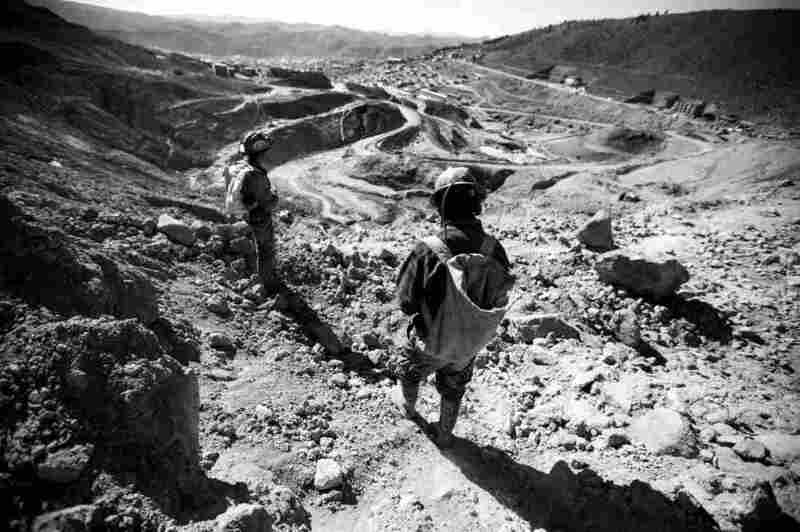 Mining in Cerro Rico is known as a dangerous profession. "They have whole graveyards dedicated to people who die in mine collapses," says Andrea Marston, a researcher who studies Bolivian mining. "The peak of it has been slowly collapsing because there's so much being removed from the inside." Working in Bolivia's mines is a family business. 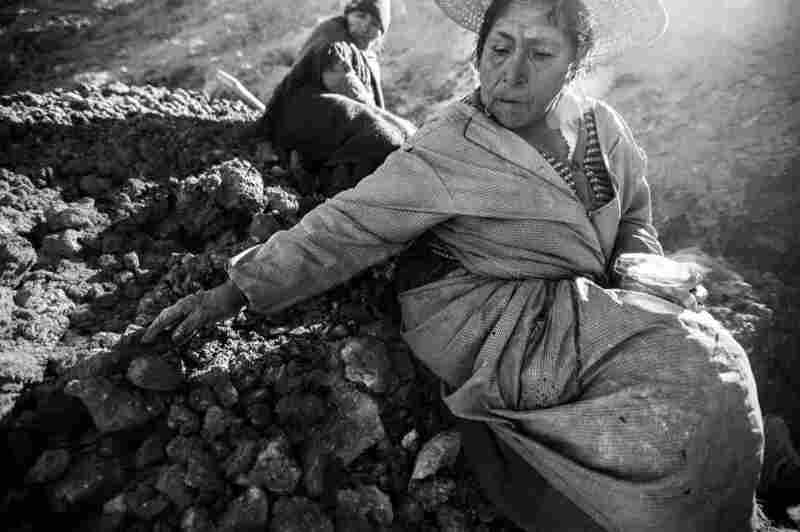 That's what Italian photographer Simone Francescangeli saw when he traveled to the city of Potosí of about 250,000 to document the daily lives of miners. They're part of a centuries-old enterprise to extract silver, tin, zinc and gold from the mountains. He was struck by the harsh and sometimes dangerous conditions the miners work in — and by the number of children he saw working in the mines. Some were teenagers. One youngster said he was 11 years old. In Potosí, many children work in mines, often joining their fathers or other family members in the tunnels when they're not in school, says Andrea Marston, a researcher at University of California, Berkeley who studies Bolivian mining cooperatives. The money they earn allows them to play a part in supporting their families. Francescangeli says boys sometimes work long hours and are often tasked with pushing carts to move rocks out of the mines. "Being a child in these places is really hard," he says. "If they have some time to spend in a free way, they like to be children. But their life doesn't permit them to be children so often." 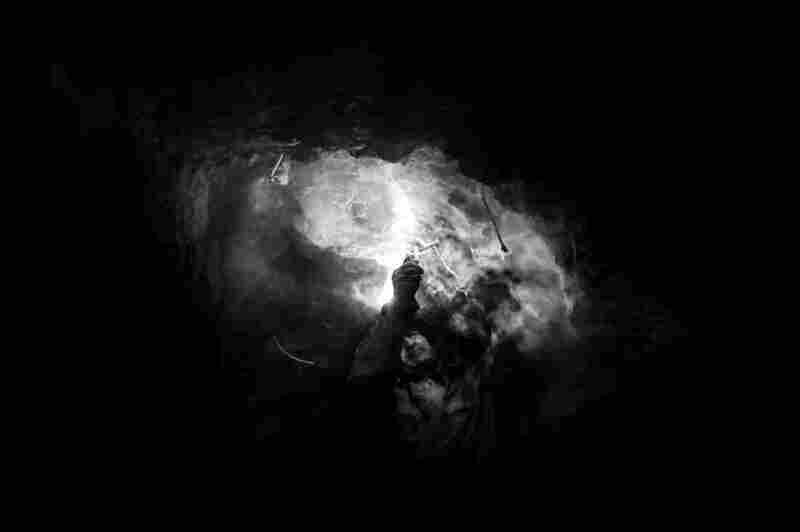 Most women do not enter the mines for cultural reasons, locals told photographer Francescangeli, because miners think of the earth as a woman. "A woman cannot enter another woman," they told him. Some women search for minerals outside the mines and others guard the tunnel entrances to keep unauthorized miners out, befriending stray dogs to help them keep watch. "Miners are scraping by," says Marston. "It's more like a family farming structure. Kids are helping out their families rather than working on their own." Up to a point, they're legally allowed to do so. In Bolivia, kids must be 14 years old to work, though some exceptions are made for less dangerous jobs. But the policy is not well enforced, according to the U.S. Department of Labor, which estimates nearly a quarter million Bolivian children ages 7 to 14 work and that these youngsters "engage in the worst forms of child labor, including in mining." Young miners head home after working inside Cerro Rico. 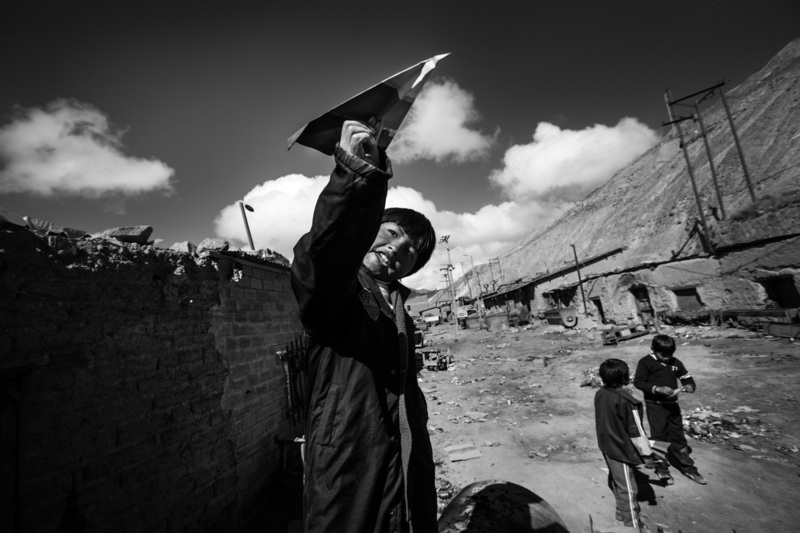 In Potosí, Marston says children often attend school while also working in the mines. "They go underground in the morning and night, then they go to school in the day," says Marston. She says some children work in the mines "because they have a father who has been killed, and they need money." "Part of the reason there's no enforcement is because mining cooperatives have been pretty supportive of the government," Marston says. "They also have a reputation for being violent." In 2016, miners kidnapped and killed a government official during a strike over labor issues. 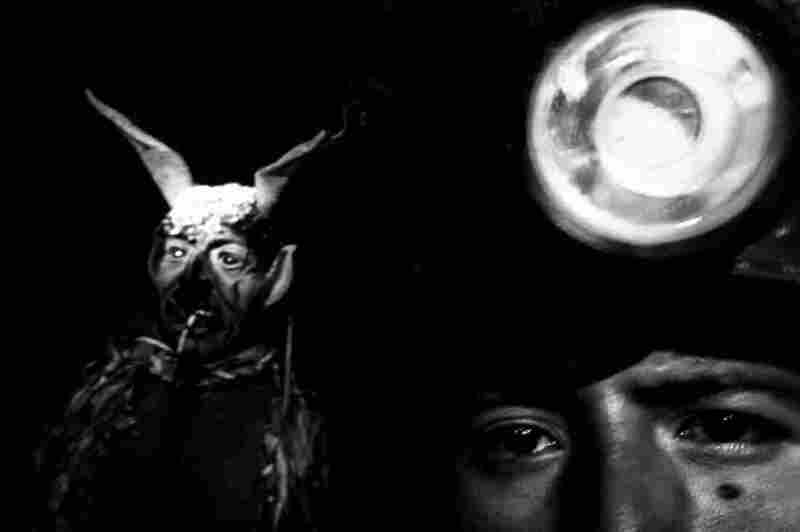 Miners leave offerings of alcohol and tobacco for El Tío, a god who's thought to be a protector of the mines, in the hope he will keep them safe. Francescangeli says he decided to experience the mines as Bolivians do. Cameras in hand, he went in without a mask to protect against dust. He says he struggled to breathe, particularly at Potosí's high elevation of 13,000 feet and in the heat of the tunnels, which he says rose above 90 degrees Fahrenheit. He says when he left the mines on the first day, he had trouble seeing until he rinsed the dust from his eyes. "It was like a blanket over my eyes," he says. 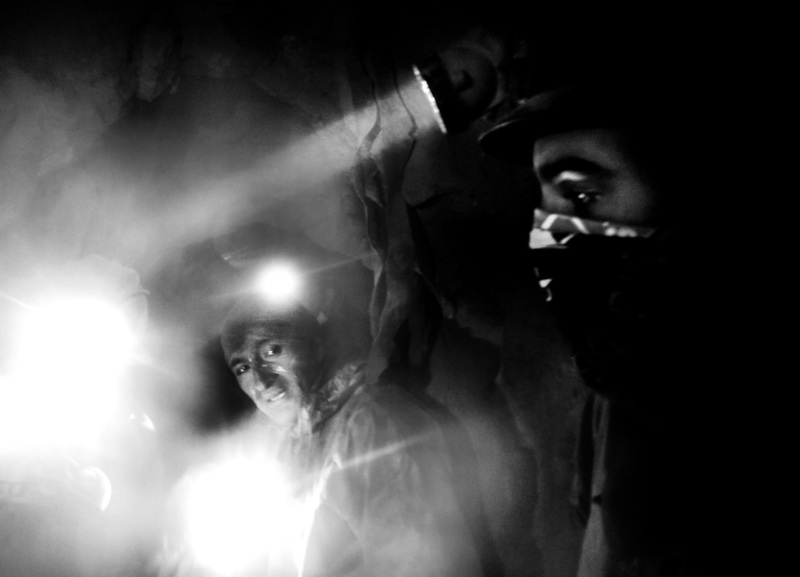 The darkness in the mines became a central element of Francescangeli's photos, which he decided to shoot in black and white. Because of their headlamps, he says, miners can only see straight ahead. "To live all day long in this kind of darkness, seeing only the things in front of your eyes, it's a strange way to live," he says.